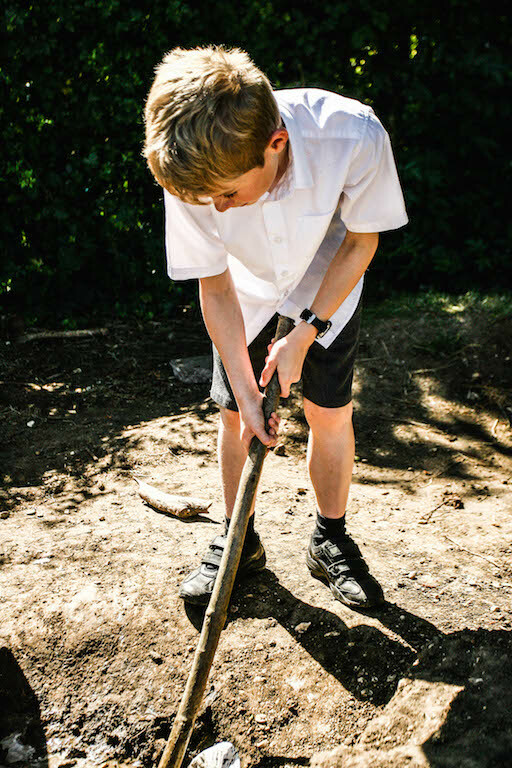 During our after school club we aim to give children the opportunity to play, take risks and build confidence. Playworkers will support play by offering resources, encouraging and creating a positive and stimulating atmosphere. After school clubs run in Girton, Haddenham & Ridgefield. We can all remember that feeling at the end of a school day, watching the clock slowly make its way to 3:00pm. Even as playworkers we know that children would prefer to go home and can only imagine how it must feel knowing you were going to after school club for another 2 and a half hours following a long day. Tired, the children make their way to the club, lugging, bags, books, PE kits and school letters. As they get to the door the children are met with a smiley face and it is soon reflected on their faces too. Suddenly that dread of another 2 and a half hours at school starts to look more positive. 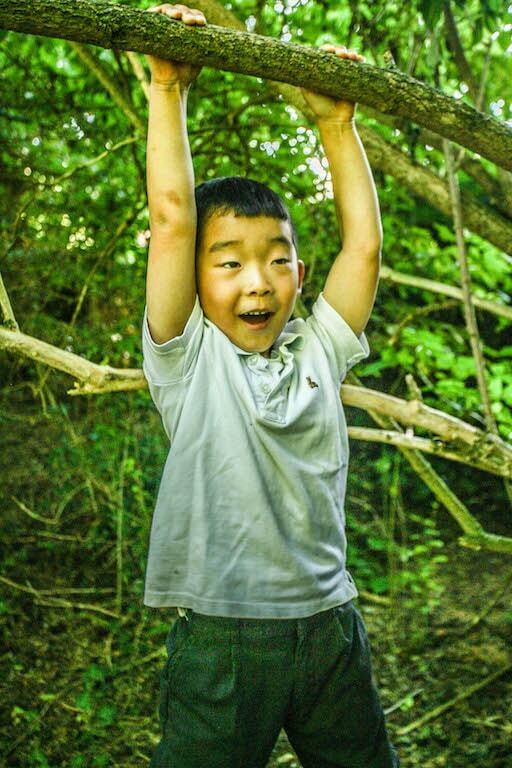 Supported by the smell of snacks wafting through the door, the buzz of the room and the access to a whole range of interesting and creative resources with the backdrop of our forest school outdoor space, the children are now ready for an afternoon of play with friends. They feel safe and free to be themselves and make themselves at home. Within the first 20 minutes of children being within our after school clubs you will see them taking part in a full range of different activities and play experiences including: reading in the quiet area, eating snack around our food tables, climbing our slack lines and rope bridges, getting creative in our workshops, sitting around the log circle, role playing in our boat and taking part in a range of different sports. Staff within our clubs understand that, for children, the school day can be long, stressful and intense. We want to make sure that children have the opportunity to kick back and be children while in our care. We encourage children NOT to complete homework, practise spellings or revise for upcoming tests while with us. Staff also understand that children have individual and unique personalities and what one child may do to relax will be different to another child. What adults may see as a mess, always has massive opportunity when looked at from a child’s perspective. 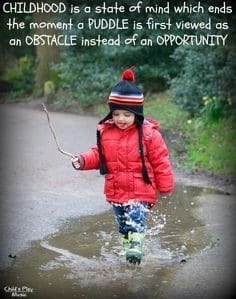 I always look at this as the puddle theory; for a child a puddle can afford so many play opportunities, jumping in, making boats to sail, sliding in, swimming in. From an adults view this creates, wet children, cold children and muddy children. From child’s behaviour, child’s comments and decisions made by a child we take their view into account and discuss these situation with the children. 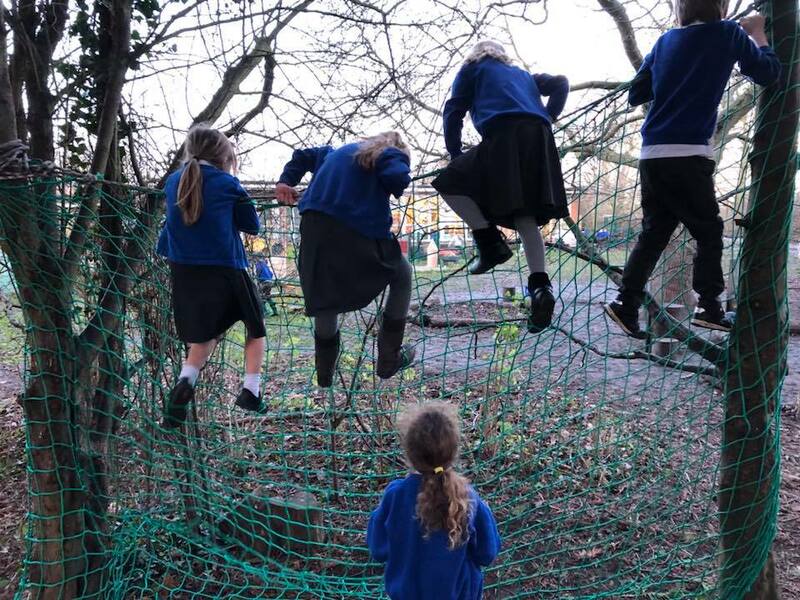 The child’s view is very important within our setting and its quite amazing what they see when discussing risk analysis on what they are doing. 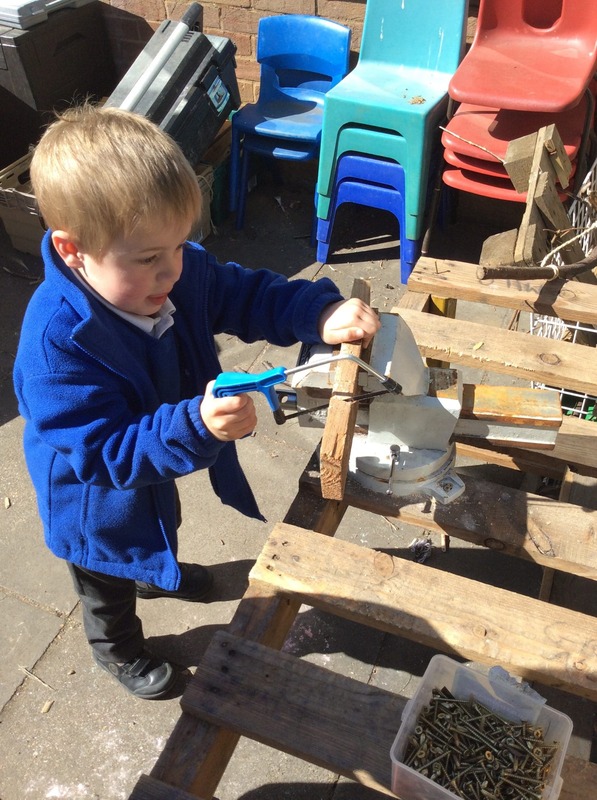 Whenever we ask the children “what do you think is unsafe about what you are doing” we are often told something that we hadn’t even thought of ourselves. This is why we believe that discussing risk within play with the children, or even allowing something to continue for a while before bringing a stop to it, is more beneficial then telling them to “stop”. We are always amazed at how often the children manage these risks themselves, with staff on hand if needed. So, even after a long day of school and an extra 2 and half hours after school, parents are still met with “I don’t want to go home yet” and “why are you so early”, Leaving us to deal with tired parents, after a long day at work just wanting to go home. We offer a healthy snack option daily that the children help themselves to including sandwich bar, wraps, jacket potatoes with a variety of fillings, homemade soups, toast and spreads. Fresh fruit and vegetables are always on offer as well as fresh water and fruit squash. Our after school club is open from 3:15 until 6pm. You can see the Club handbooks and more information on the downloads page.